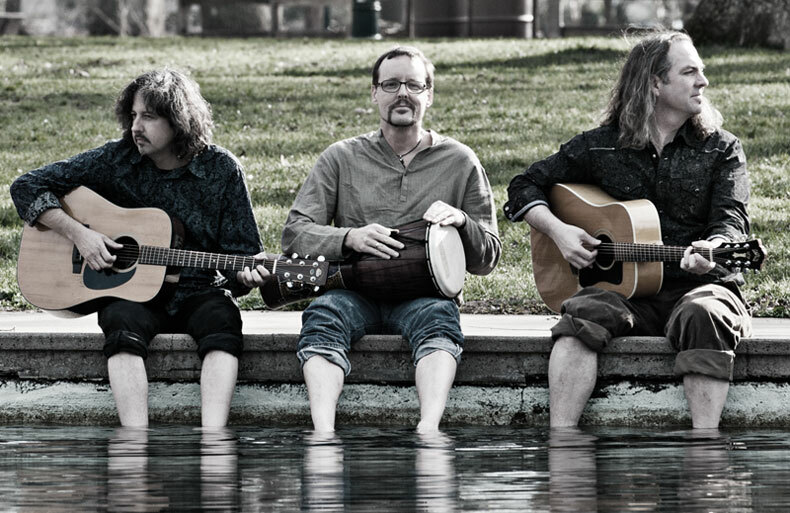 "Big Wide Room made magic as soon as they opened their mouths…"
Big Wide Room is the exceptional musical alchemy of three distinctive talents - - Mark Davis, Brett Perkins and David Zink. Each member comes to the trio as a veteran performing songwriter with a strikingly different voice, vision and critically-praised body of work. Playing a "California Sound" strain of folk-rock and Americana pop, together they craft songs on themes of spirit, life and passion. Audience raves regularly describe this fusion of talents as "awesome...greater than the sum of the parts..."
Performing on guitars and percussion with interwoven harmonies, Big Wide Room is what great musical chemistry is all about. Long recognized as one of Southern California's most passionate and lyrical artists, Mark Davis gathers inspiration from sources both personal and universal, from the simple moments of daily decisions to larger questions of faith and love. While Davis' 2 prior CDs - - you came screaming and immaculate - - cover this ground and more, the 2012 release because there's nothing outside meets "the god question" head-on. Released under the name mark davis and the inklings, it is both Mark's most personal work and also his most universal. 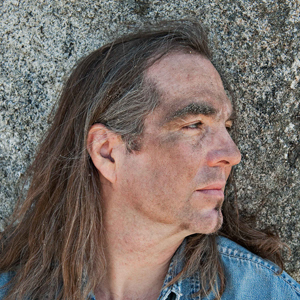 Mark first garnered attention from fans and critics in 1989, during Southern California's highly acclaimed Nu-Folk Scene. In 1993, his band, mark davis and the inklings (the name based on C. S. Lewis and J. R. R. Tolkien's "round table" of writers) headlined the ASCAP showcase at SXSW, and also performed at the CMJ convention after the magazine featured the band's cassette release as a "Jackpot" pick in its Futures column. Made with contributions from an "A" list of rising L.A. talents, Mark's first album, you came screaming was self-released in 1995 to critical praise, and was named by Los Angeles Times music critic Mike Boehm as 1995's Album of the Year (from anywhere) and Orange County's #1 Album of The Decade. Mark spent much of the late-90's in Brittany, France writing his book on spiritual matters, the newly released, god in chains. On visits to Southern California he recorded much of his second CD, immaculate - - a much more electric and experimental, subtly dynamic and dreamy song-cycle, self-released on Bitemark Records. Songs from both you came screaming and immaculate have been placed in several productions, including the television show Felicity and the independent films Baby Love and It Is What It Is. From his 1977 Los Angeles club debut at age 14 as lead singer and songwriter for Danger Man, to national US college radio success with his 80's New Wave band The Sneaks, to techno song placements on national network TV under the BWP moniker, Brett's pop sensibilities and musical versatility found wide expression early on. With a career now spanning more than four decades, multiple genres, and performances in 34 countries, his accolades have been abundant. "Songs and vocals in the company of George Harrison, Elvis Costello and Neil Finn." "A fine example of an artist...emphasizing melody and storytelling." A prolific songwriter and recording artist, Brett has 9 commercial albums and numerous single releases to his credit. Dozens of co-writes have been recorded by others, including the Top 10 song, "Breaking News", co-written with Sony artist Mads Langer. 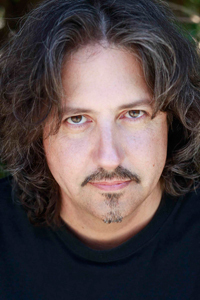 His songs have been placed in film and TV, including MTV's Road Rules, the European series Anna Pihl, and more. "Pop/folk songs that embrace the listener like a warm blanket on a cold winters day." Brett's most recent accomplishments include winning both the Great American Song Contest (Pop Category) and the Australian Song Contest (International Category) in the same year with his song "Figure It Out"; and a 2011 Christmas single now in annual rotation on Danish National Radio. Brett lives in Copenhagen, regularly touring solo, with his Alt Country band The Pawnshop Preachers and Michaut/Perkins, a duo with his life partner Magali Michaut, Brett also leads annual Listening Room International Songwriter Retreats in several countries as well as producing Listening Room Tours in connection with the events, is a popular guest speaker on songwriting for organizations around the globe and heads the advisory board of the annual Copenhagen Songwriters Festival, which he founded in 2009. "Big-souled folk for the heart, head and heels." 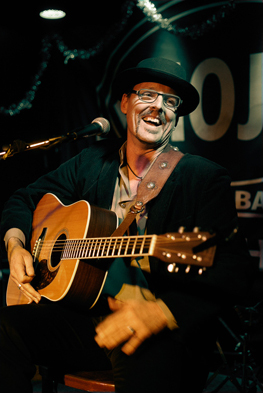 Under a big tent of genres—acoustic folk, rock, blues, gospel, country, jazz and world beat influences—David sings with a spirit that is at once distinctive and familiar, uncommonly intelligent, earnest and playful. Known for his agile voice, splendid guitar artistry and adventurous songcraft, fans hear hints of songmasters Bruce Cockburn, Richard Thompson, David Byrne and Mark Cohn in his style. David got his professional start as director of The New Christy Minstrels in 1986, playing to audiences all across the United States and British Columbia. Since then he's toured as a solo artist throughout the U.S., Netherlands, Belgium and Denmark, with short forays into France and Sweden. David has performed many festivals, venues, home concerts and music industry conferences, and has been a featured artist at the Copenhagen Songwriters Festival (DK) and at the first TEDxChico. In recent performances David has opened for Vicki Peterson (The Bangles), Brian Howe (Bad Company), Simon Lynge (Lo-Max Records), and a host of established talents in Denmark and Sweden. Even more recently David has contributed to production of a new music TV series, "Plugged In and Turned On In Paradise," now seeking distribution for the 2017/2018 season. David's recorded work includes Birth (1990), Carnival of Stars (1992), Pyro (1999), PopZinkle and Way of Granite (both 2010).